*Disclosure: I received a complimentary tasting at Noodles in exchange for this post. The opinions expressed here, however, are my own. 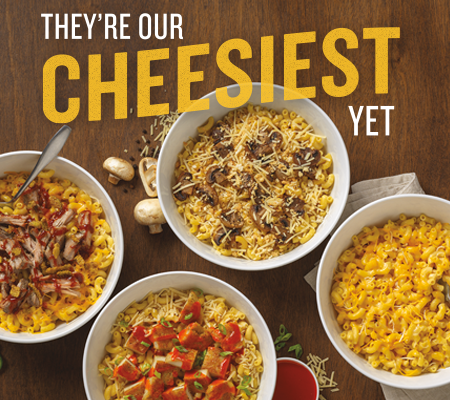 Starting today, Noodles & Company is bringing back its mac 'n cheese dishes! 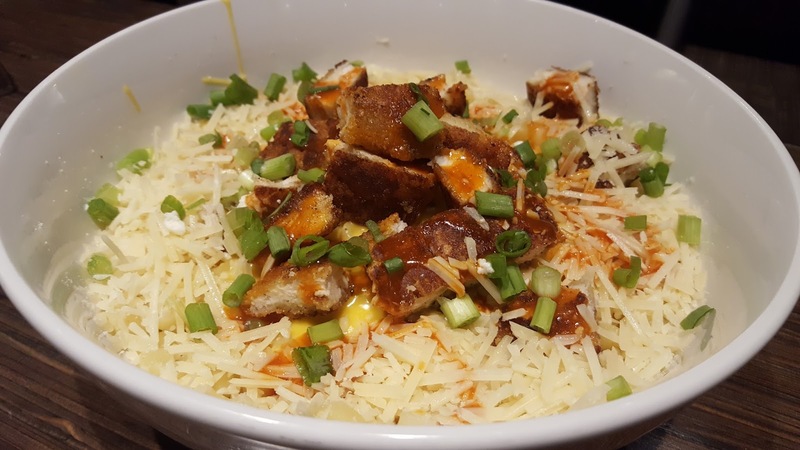 You can head to a Noodles near you to try their Truffle Mac, Buffalo Chicken Mac, or BBQ Pork Mac, in addition to their standard, the Wisconsin Mac & Cheese. 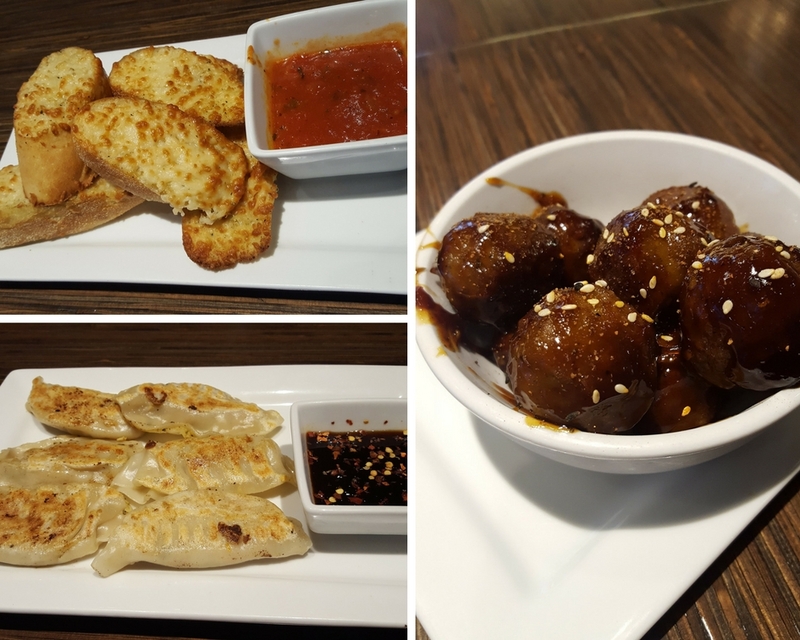 I headed over to the Macomb, MI Noodles location on Monday to try out the new/returning mac 'n cheese flavors, as well as a bevy of other dishes from their menu. Full disclosure: I normally don't like many mac 'n cheese dishes. However, there are a few here that I definitely enjoyed. We then tried the Chicken Veracruz Salad and the Thai Med Salad with Chicken. 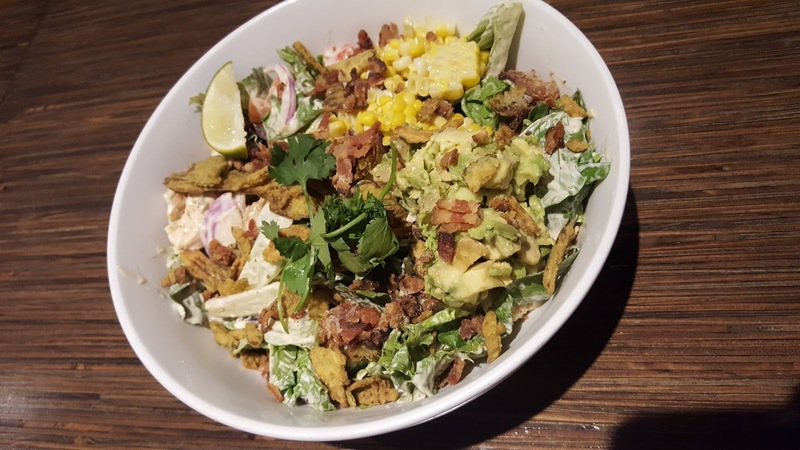 The Veracruz Salad was my favorite here, and it comes with chili-lime chicken, bacon crumbles, fresh-cut corn and avocados, crispy jalapeños, and a jalapeño ranch dressing. We then moved on to course 1 of the noodle dishes (of 3 ... so much food! 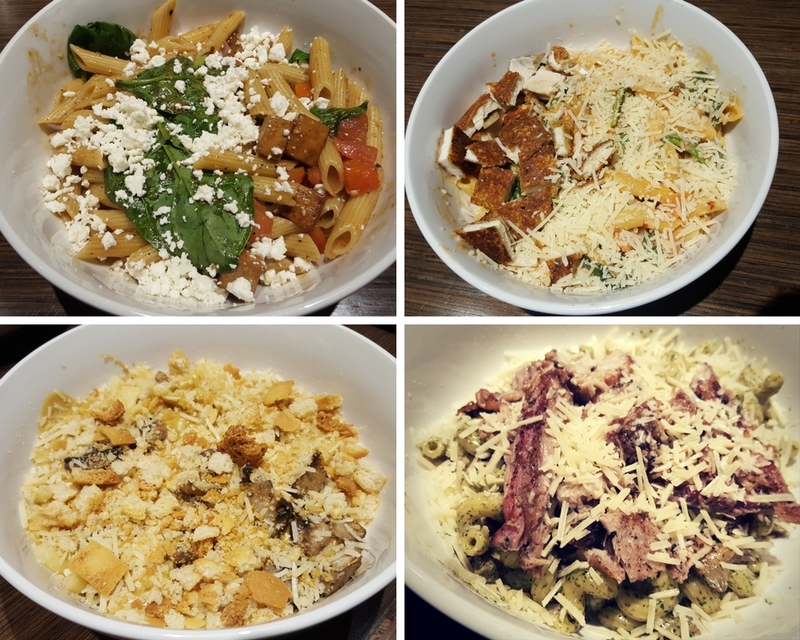 ), which included the Truffle Mac, Pesto Cavatappi with naturally raised pork, Penne Rosa with parmesan-crusted chicken, and Pasta Fresca, one of my all-time favorite dishes at Noodles. The toppings on the Truffle Mac are very good, and include black truffle, roasted mushrooms, parmesan cheese, and toasted breadcrumbs. For course #2, we tried the BBQ Pork Mac and the Buffalo Chicken Mac. I tried a teensy bit of the Buffalo Chicken Mac, but I don't like spicy foods, and this is sprinkled with Frank's RedHot Buffalo Wings sauce. 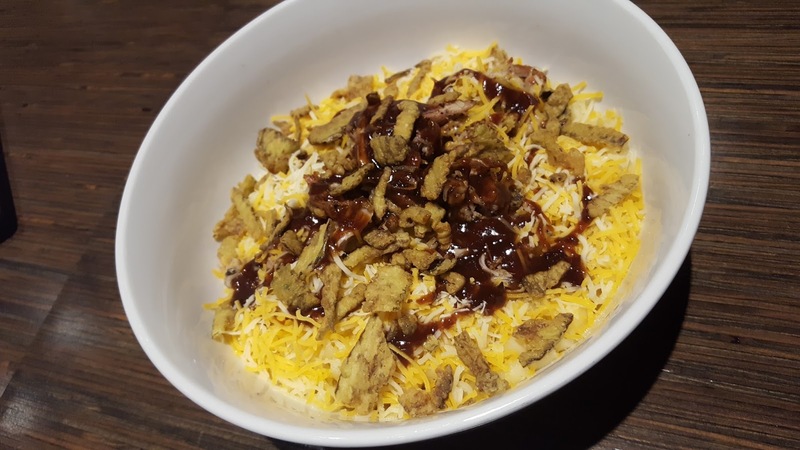 The BBQ Pork Mac, which has crispy jalapeños and BBQ sauce, was delicious, and is my favorite out of the four mac 'n cheese options at Noodles. We also tried the Pad Thai and the Japanese Pan Noodles - the Pan Noodles are another of my favorite dishes at Noodles, as the caramelized udon noodles in the dish are unique. 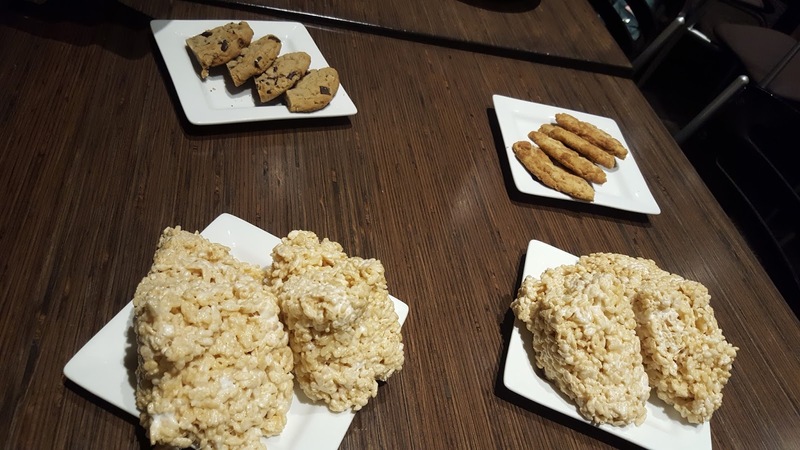 And because you can't end a tasting without dessert, we were treated to Noodles' awesome rice krispie treats (these things are legitimately HUGE and deliciously gooey) and its chocolate chips and Snickerdoodle cookies. 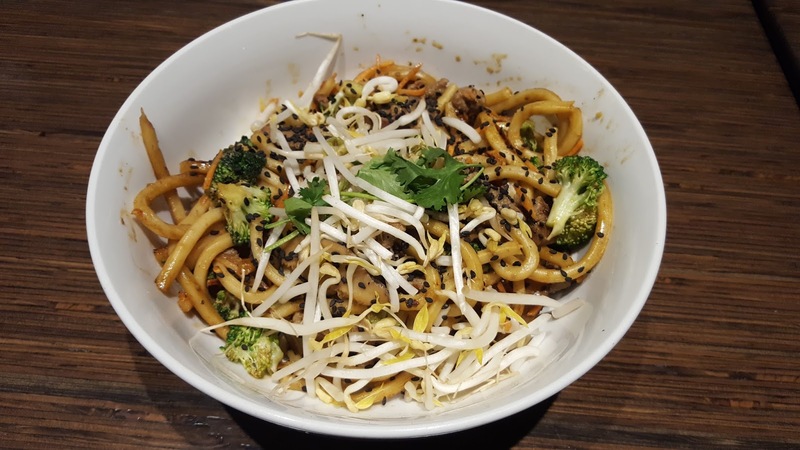 Even if you're a frequent Noodles customer, you might not know that they recently relaunched their rewards program (anyone remember the punch cards from back in the day?) and it's called Noodles Rewards. Download the app on the App Store (iPhone) or on Google Play, and go from there—you'll receive $3 off your next purchase just for signing up, too! 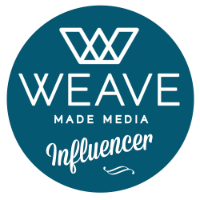 NoodlesREWARDS from Noodles & Company on Vimeo. Make sure to scan your phone every time you visit Noodles, or to login when you order online, to get rewards. And don't forget that this Friday, October 6th is National Noodles Day - get a free small Wisconsin mac 'n cheese with entree purchase at any Noodles location! Thanks again to the Macomb Noodles for a delicious tasting experience. Giveaway will end on Sunday, October 15th, at 11:59pm EST, and winner will be emailed the next day and have 24 hours to respond, or an alternate winner will be chosen. Must live within driving distance to a Noodles & Company location to enter this giveaway - click here for locations list. 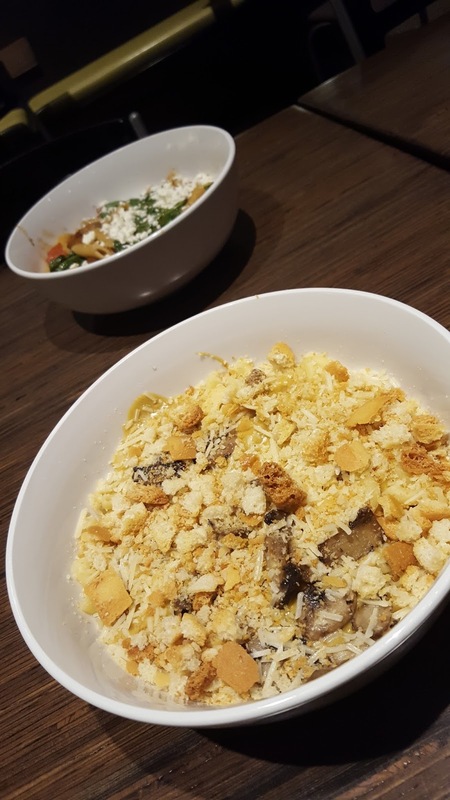 food giveaway Noodles & Co.